I’m a huge fan of any easy dessert recipe. Don’t get me wrong, I love to bake, but I hardly ever have the time. Not to mention it’s summer time and I’m not a fan of heating up my kitchen if I don’t have too. These homemade iced tea popsicles are so tasty and so easy to make! Kids and adults will enjoy them. Keep your freezer stocked with these tasty treats. So much cheaper than buying popsicles from the grocery store. The best part about homemade popsicles is you can truly put your own twist on them. You can use juice, flavored water, yogurt, pudding and much more! There is no right or wrong ingredient to use as long as your family enjoys it. Make this a family activity and get the kids involved. They will love getting to create their own popsicle creation. Slice your strawberries and lemons and place in a bowl. Add two tablespoons of honey and mix well. Place one lemon slice in each popsicle mold. Place two or three strawberry slices in each popsicle mold. Pour your iced tea into your popsicle molds, insert the tops and place in the freezer overnight. 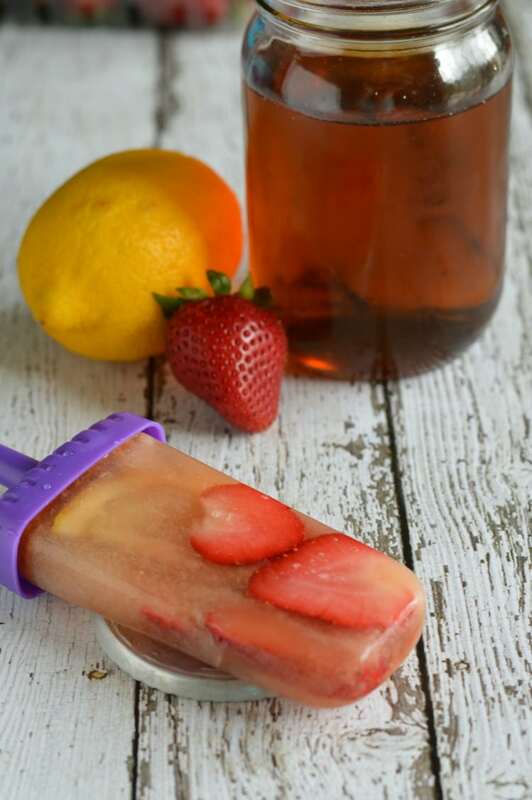 Once your Strawberry Iced Tea Pops are frozen, enjoy! If you enjoyed this easy dessert recipe, be sure to check out my S’More Bites! For more yummy recipes be sure to follow me on Pinterest! In summer you want popsicles rather than cake anyway. These remind me of my childhood. We used to make popsicles with Apple Juice and Haribo Jelly Bears. Easy desserts are always on my list.. The kids love the frozen popsicles and it’s always fun to try something new. Loving your iced tea popsicles. I’ve pinned and will share this weekend. 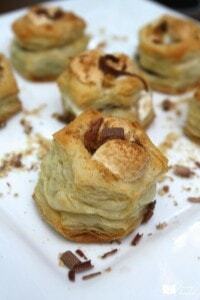 Thanks for sharing with Foodie Friends Friday party this weekend.